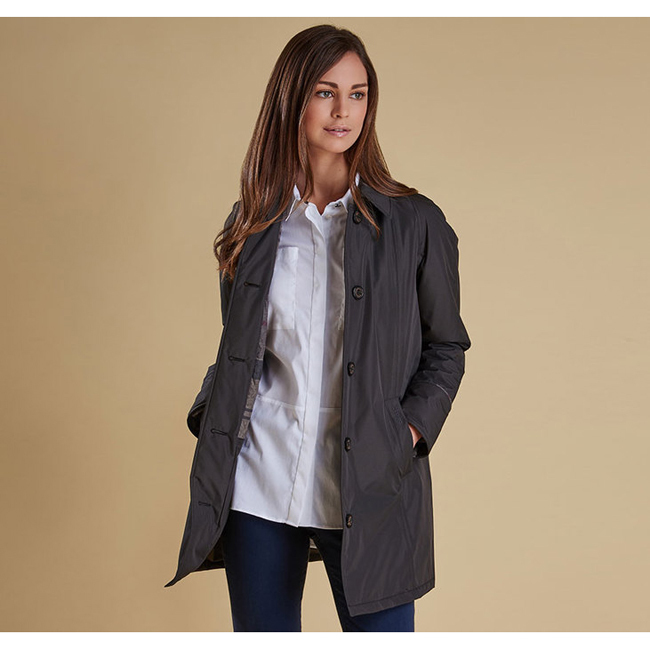 The Straiton Jacket is a women’s waterproof mac detailed with Barbour’s exclusive Winter Tartan. This stylish, practical jacket is timelessly designed with a regular fit, a single breasted front and a smart sit-down collar. It’s made from a technical outer fabric that’s reliably waterproof without restricting breathability, and is lined in the seasonal tartan – a rich, luxurious coloration of Barbour’s signature tartan sett. Finished with tonal Barbour embroidery to the outer pocket.